Robert Niehoff resides in Mendham Township with his wife Beth and four daughters. 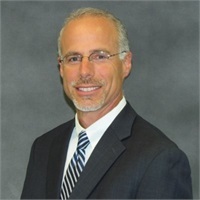 Associated with Northeast Planning Corporation since 1988, Rob has been helping business owners and individuals successfully plan for their future. Under NEPC’s overall mission of planning for wealth building and preservation, Rob personally assists several hundred clients, both business and individual, in the New Jersey/New York areas with financial strategies to help ensure their financial security. He also brings with him a team of specialist in all areas of planning.